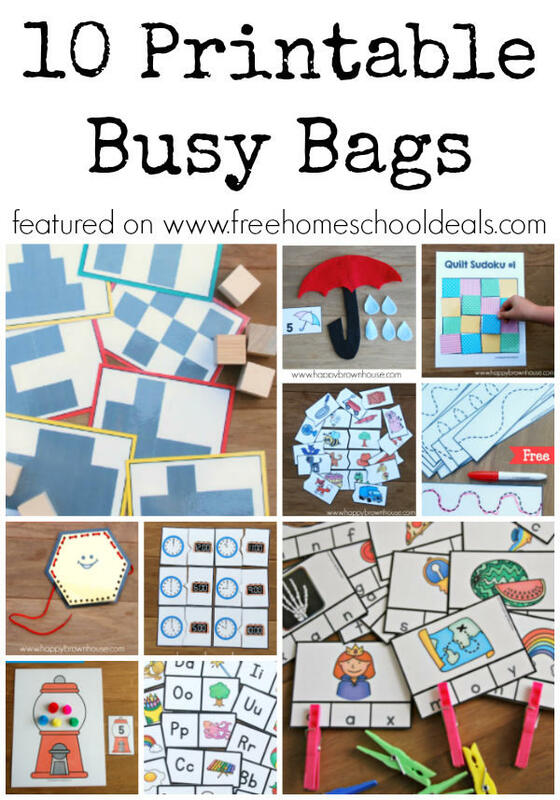 Have you used busy bags yet? 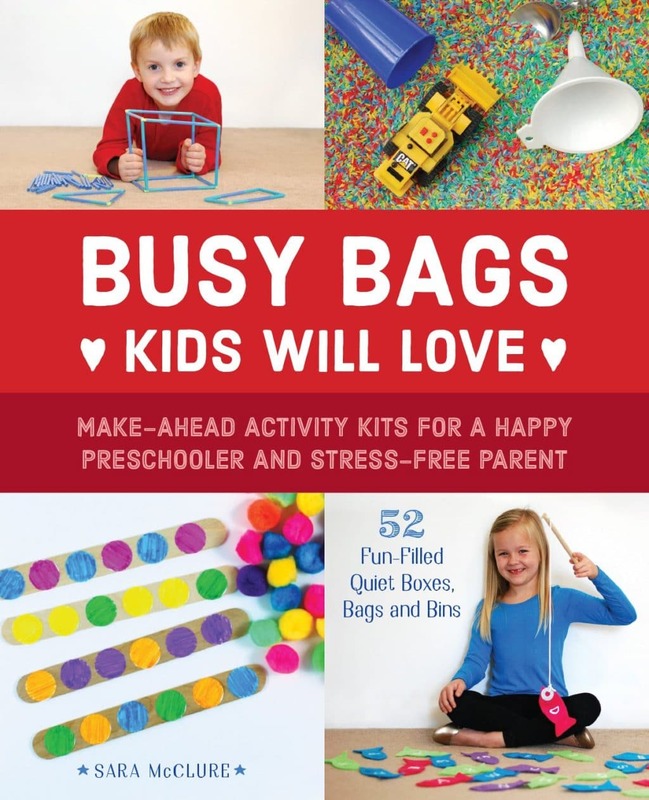 Busy Bags are self-contained activities that toddlers or preschoolers can do independently. Usually placed in a plastic gallon size bag, these activities can keep little ones busy while you homeschool the big kids. Busy bags take a little prep work, but once they are finished you will have an arsenal of activities to keep your little ones busy. 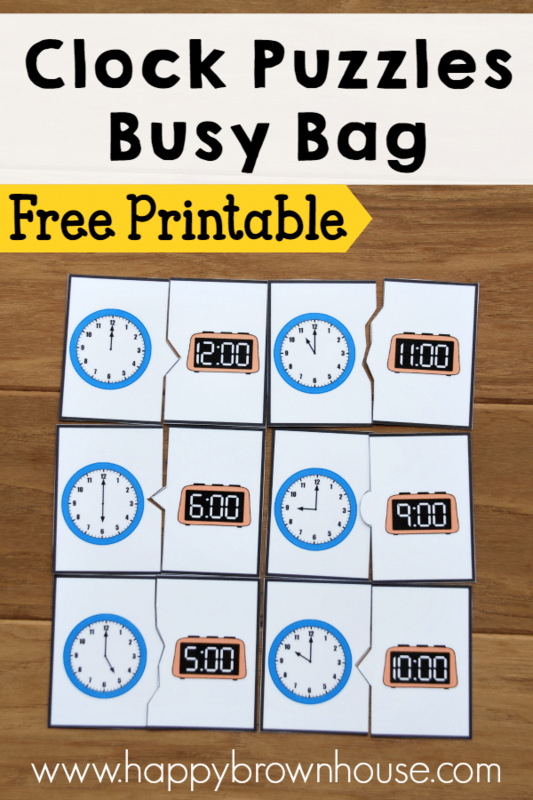 To help lower the time it takes for you to make your busy bags, we’ve gathered up 10 Free Printable Busy Bags from our friend Sara at Happy Brown House. 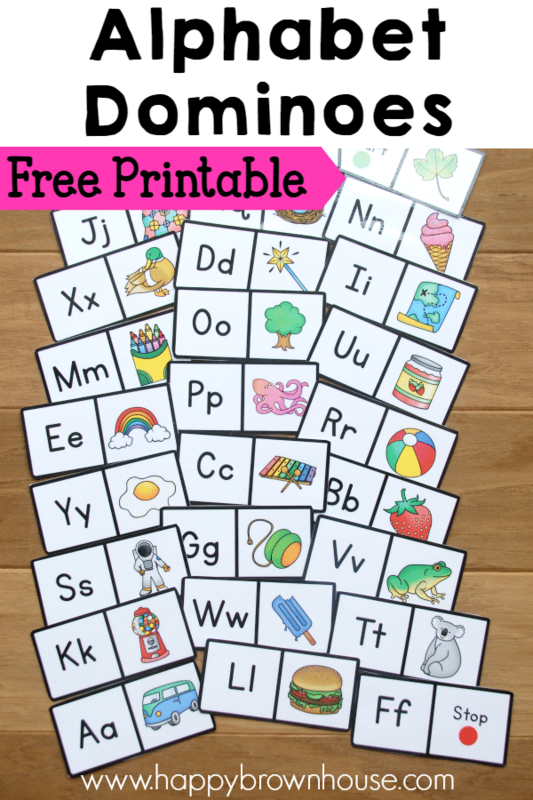 All you have to do is print, laminate, and hand them to your little one to play! 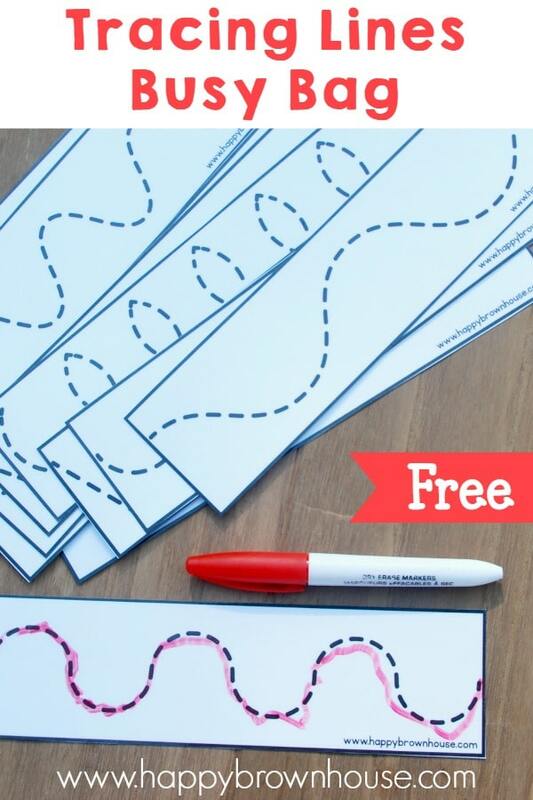 Please note: You will be subscribed to Sara’s email newsletter list when you download these free printables, but she has tons of great ideas and shares lots of free printables often. We think you’ll like her as much as we do! This busy bag works on counting skills. Kids will pretend pom-poms are gumballs and count out the number of “gumballs” on the gumball machine counting mat. The only extra thing you’ll need are the pom-poms. This busy bag is pretty self-explanatory. 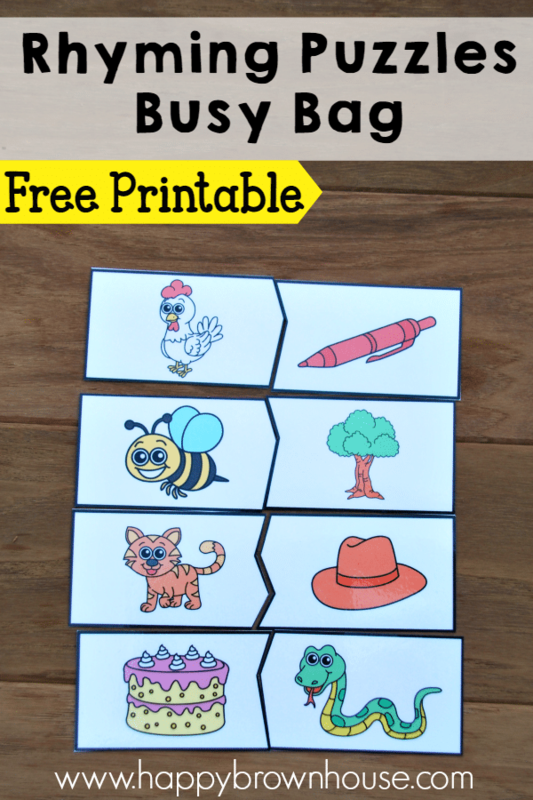 Kids will match up the rhyming word puzzles. Easy peasy! 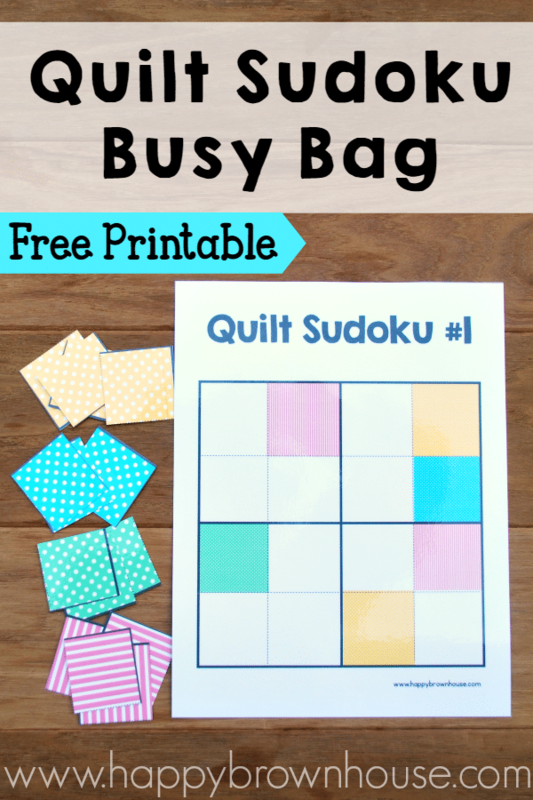 This fun twist on the popular sudoku game will challenge kids’ critical thinking skills and when they’re finished it will look like a colorful quilt. Let your little one strengthen their fine motor skills and learn shapes at the same time! The only extra thing you’ll need is a shoelace from the dollar store. This busy bag is a fun twist on dominoes. Kids will match up letters with pictures that start with that letter to make a long line of alphabet dominoes. This telling time busy bag is perfect for kindergarteners who are learning how to tell time. 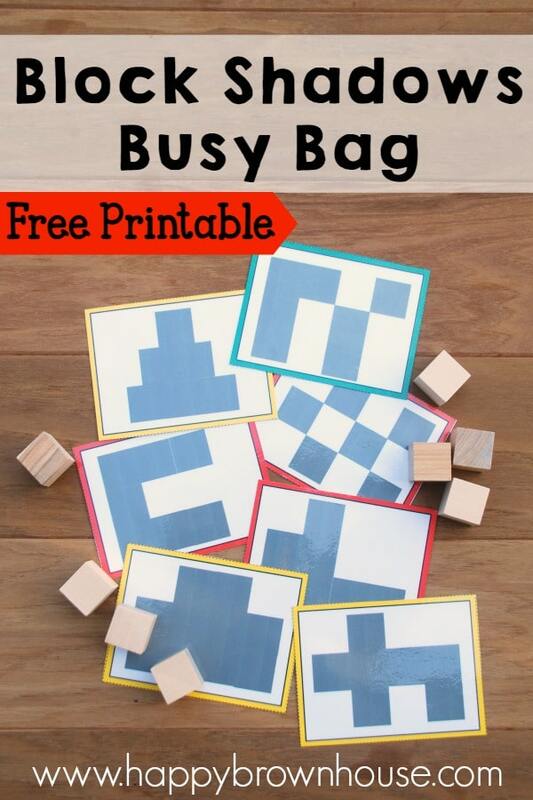 This busy bag will help develop your child’s critical thinking skills as they try to fit the wooden blocks in the shadows. The only extra thing you’ll need for this one are the wooden blocks. Does your preschooler or kindergartener need practice with writing skills? This busy bag is perfect for strengthening writing skills and fine motor skills. 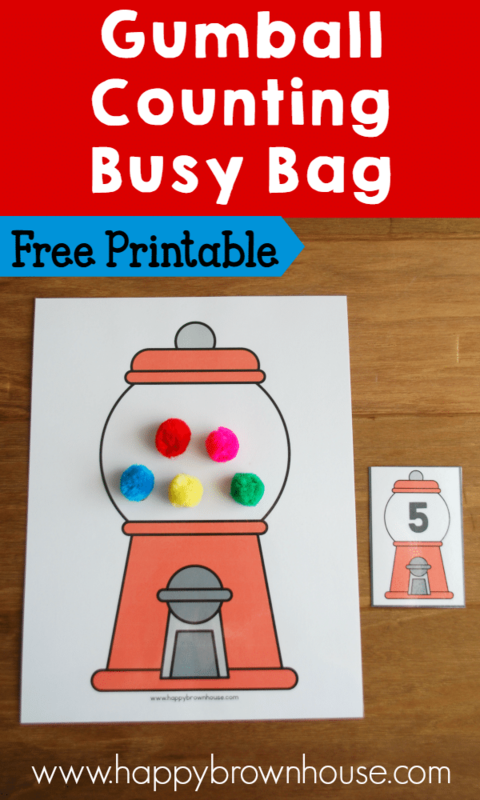 This one is Sara’s most popular printable busy bag. 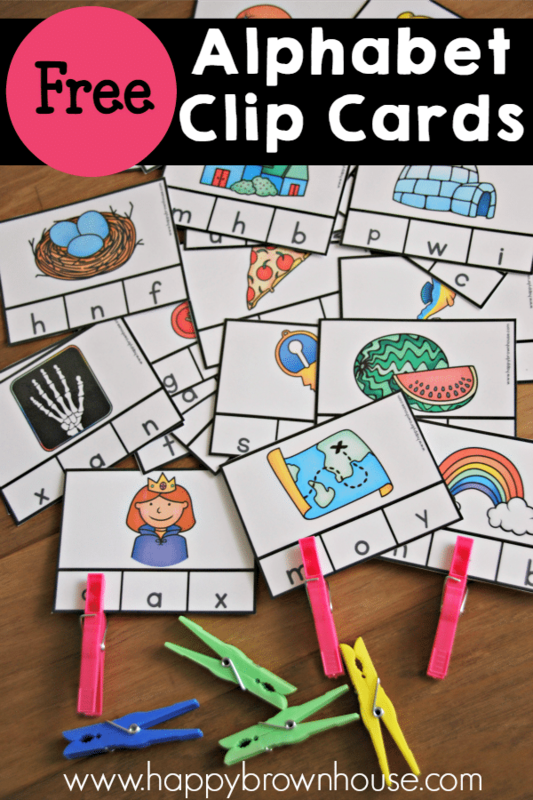 Let your preschooler or kindergartener match up the beginning sounds with the letter that makes the sound. When they use the clothespins they’ll be strengthening fine motor skills, too! The only extra thing you’ll need for this are clothespins. This counting busy bag will take a little more prep than the others, but not too much time. 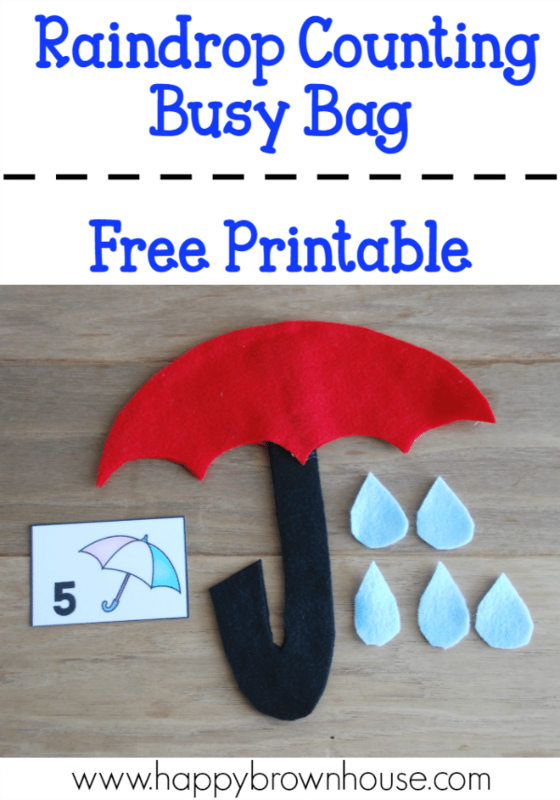 You’ll need some felt to make the umbrella and raindrops, but the counting cards and a template are provided in this download. 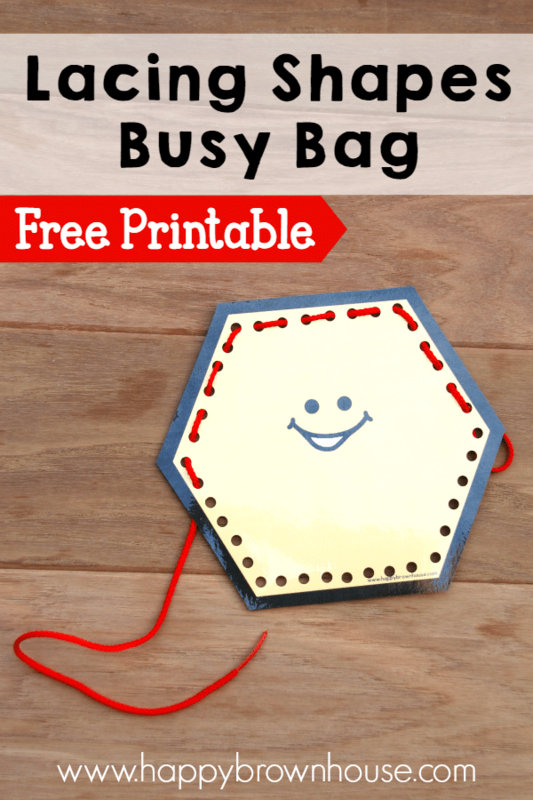 There you have it–10 Printable Busy Bags to get you started with busy bags. We hope this list will give you some extra options for keeping the little ones busy while you homeschool the big kids. For those of you without big kids, we hope these activities will help you teach your little one. Want more busy bag ideas? Sara has written an entire book full of them! Busy Bags Kids Will Love: Make-Ahead Activity Kits for a Happy Preschooler and a Stress-Free Parent has 52 busy bag ideas (one for every week of the year). Using everyday items from around your home you’d be surprised how easy it is to help your child learn to read, count, build fine motor skills, and have fun with purposeful activities created just for them to explore and play. As the parent of young children, it’s hard to find a moment for yourself. Busy Bags Kids Will Love offers you a smart way to keep your kids engaged so you can relax. With step-by-step instructions and color photos on each page, it will teach you how to make fun, unique games with simple arts-and-crafts materials you already have at home.